A brand new Elements cinema - PREMIERE, has been unveiled at the upscale landmark and shopping mall in March 2019. The high-end cinema boasts 12 cinema houses in total, of which 2 are equipped with the Dolby ATMOS 3D sound system, 1 of which is further topped up with a giant viewing screen, while the other was specially-designed as a VIP house. At the moment, the cinema holds the grand title as the cinema with the most viewing houses in Hong Kong, featuring 1,600 comfy and spacious seats. 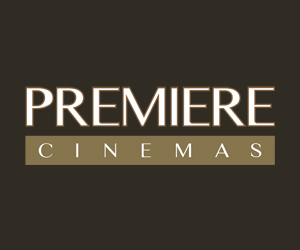 The unique set up is tailormade for our viewers to enjoy the very best of what our cinema chain has to offer in terms of movie viewing experience. This brand new Elements cinema - PREMIERE, will soon be greeting our discerning audiences with a unique new look and ambience. So we advise everyone to stay tuned with us for any updates about our exciting new location! After first being established in the 1950s, Broadway Circuit has steadily developed into the largest cinema circuit in Hong Kong through the decades. Reaching another milestone in our storied history in March 2019, our circuit will have an operation that consists of a total of 14 cinemas, providing 82 screens and approximately 12,000 comfortable seating in our city. Broadway Circuit currently comprises of 4 brands tailormade for guests of different segments, including the stylish “Broadway” and “My Cinema”, the premium “PALACE” and of course, the brand new “PREMIERE” as well as the cultural and lifestyle hub “MOViE MOViE”. To provide the best movie experience, all our cinemas are equipped with the latest technologies, such as the best audio-visual equipment and screening environment, as part of our quest to continually provide the best cinematic experience for every single visitor that walks into our cinema. At Broadway Circuit, we live movies and view quality as a way of life. Therefore, we take every effort to ensure that our state-of-the-art cinemas touch you with their charm and uniqueness. 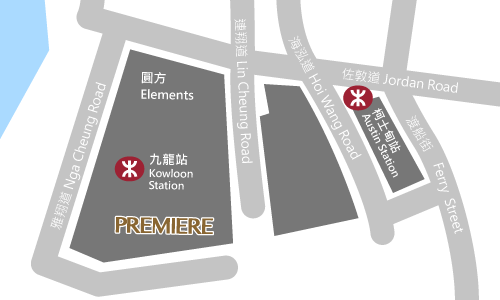 Our latest location - the PREMIERE, encapsulates our philosophy and allows us to expand our reach to more movie fanatics in Hong Kong.